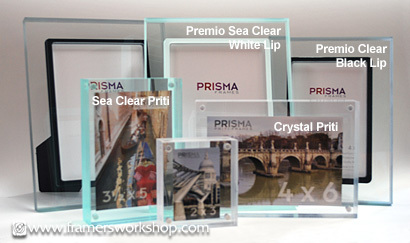 and the Priti series, both "Sea" and "Crystal". 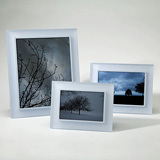 The Perla line has a soft, sanded acrylic face with either a colored or clear background, making a soft translucent frame reminiscent of beach glass. 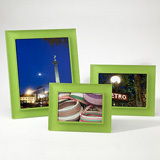 The Perla "Sea" frames have a sea-green tint. 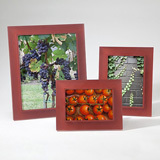 They come with UV filtering glass and an easel to sit horizontally or vertically. 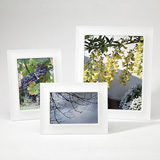 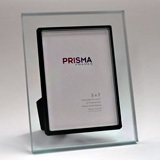 The Premio line is a clear, polished acrlic face with either a colored or clear background, making a transparent frame. 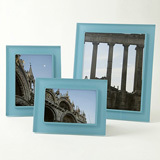 The Premio "Sea" frames have a sea-green tint. 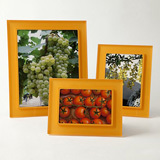 They come with UV filtering glass and an easel to sit horizontally or vertically. 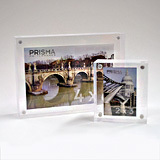 The Priti line consist of two blocks of 3/4" thick acrylic held together with magnets. 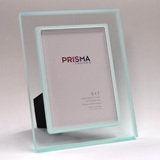 These are available in either "Crystal" clear transparent or "Sea," also clear transparent but with a subtle sea-green tint. 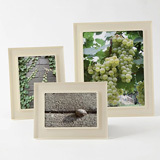 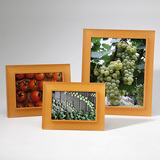 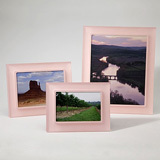 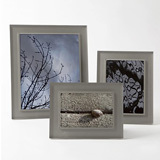 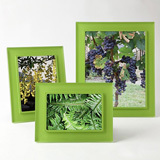 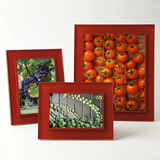 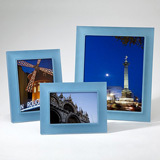 You can now purchase these great frames online by clicking through the thumbnails below.